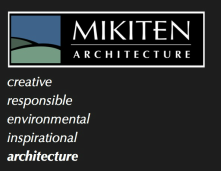 Mikiten Architecture developed a master plan for approximately 90 units of permanent, service-enriched, affordable rental housing serving homeless individuals and families. 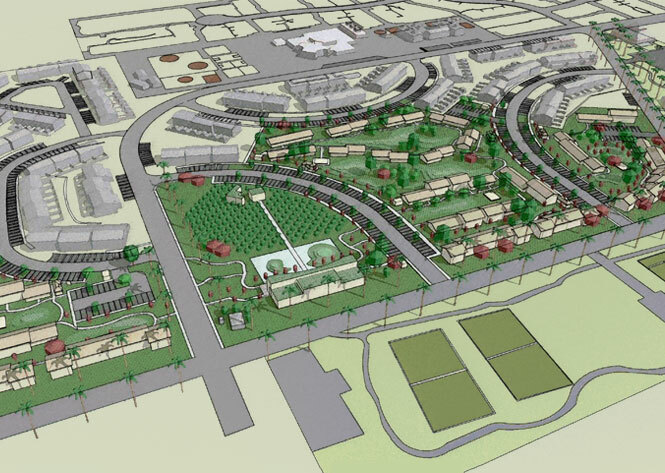 The project is located within a 42-acre site previously used by the Naval Air Station. Our site plan creates a green environment and a variety of experiences for residents. The largest structures face park lands and open space, with views of the hills. Pedestrian streets, community gardens, an orchard, and other active spaces between the buildings create a heirarchy of activity in the neighborhood. The project goal is LEED silver certification. Buildings will be oriented for light and thermal strategies. Photovoltaics and other technologies will be employed. 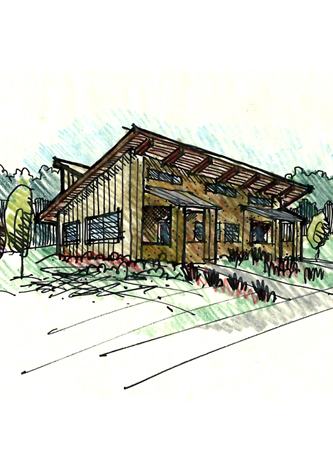 Features: Community building, linear park.